Emotion is a major force in online sales. As much as we tend to disparage “emotion” in purchasing decisions, the fact is everyone thinks and makes choices based on emotion. 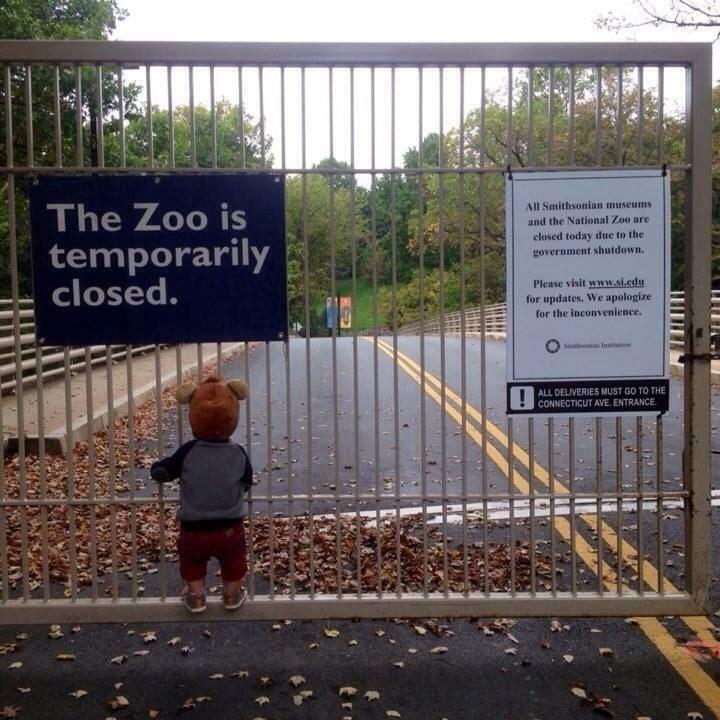 We can’t prevent this. Emotional decision-making is hardwired into our brain’s functionality. In fact, without guidance from our emotions, decision-making would be nearly impossible. Not only is it appropriate to use emotion in your landing page, but it’s essential for the decision-making process. That being said, you don't want to go overboard. In this post, I want to show you is how you can use emotion in the most effective way in your landing pages. Know your audience’s emotional needs. The first step to using emotion in a landing page is discovering the emotions that will make a difference in your audience's actions (assuming that you already know who your customers are). Every purchase and conversion is a driven by the customer’s emotional need. If you are selling arthritis relief cream, your customer’s emotional needs are for relief. If you are providing consulting services for office organization, then your customer’s emotional needs are for control or stress relief. If you design outdoor living spaces, then your customers want relaxation or enjoyment or respect from their neighbors. There are a basic set of human needs and desires. 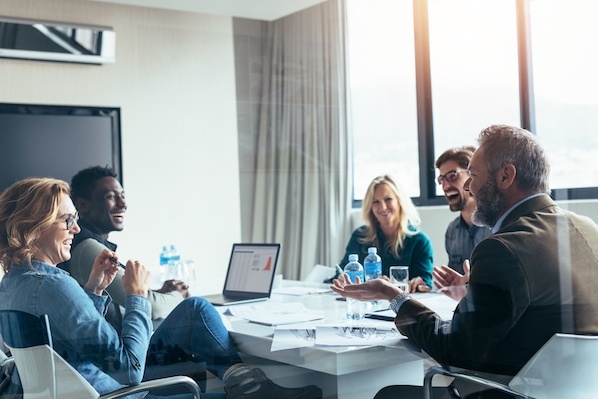 All you need to do is identify which of these emotional needs your customers have. 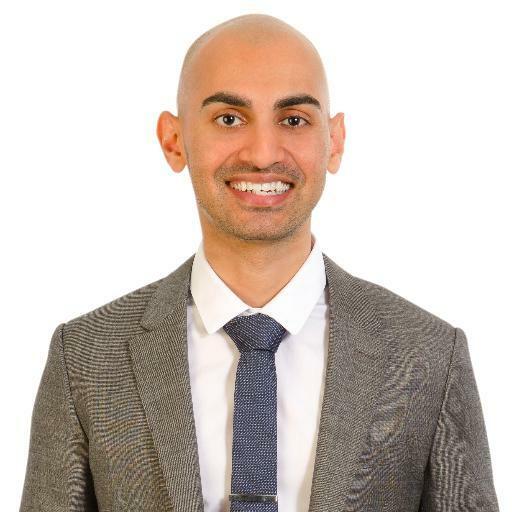 Then, you use the techniques described below to tap into those emotional needs on your landing pages. As a general rule, pictures have the most power in affecting emotion. But what types of pictures are the most emotionally powerful? Pictures of people. We are drawn to such pictures because we can identify with the person in the picture. We see emotion in their eyes and in their faces and in their body language. In a way that is both immediate and unavoidable, our emotions are affected by what we see. Landing pages that use pictures of people can affect the emotions, too -- perhaps not in a tear-jerking way, but at least in such a way that the user will feel something. And because of that feeling, they decide to convert. Pictures of people are remarkably effective. Usually, these people are expressing an emotion that the user is supposed to feel. 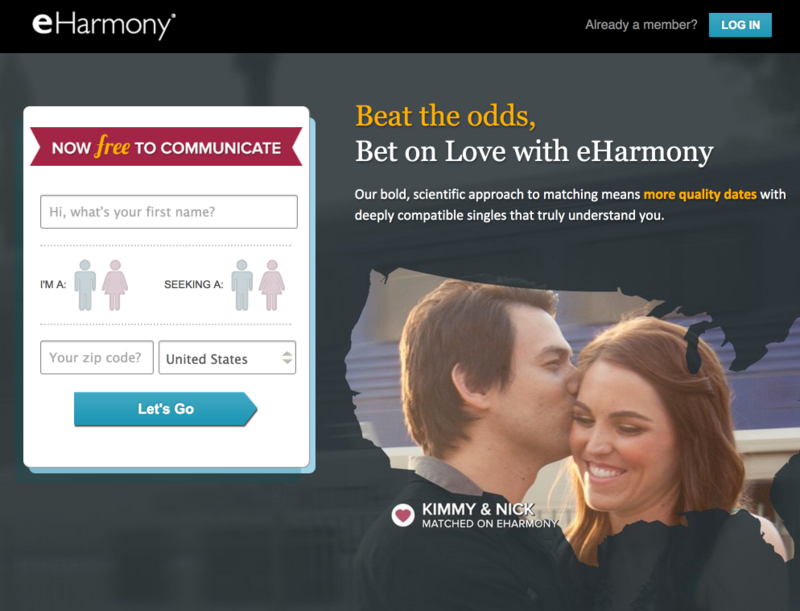 eHarmony uses a picture of two people who are obviously in love. The user, looking at this picture, may also feel the pangs of romantic emotions, and then want to look for a match. 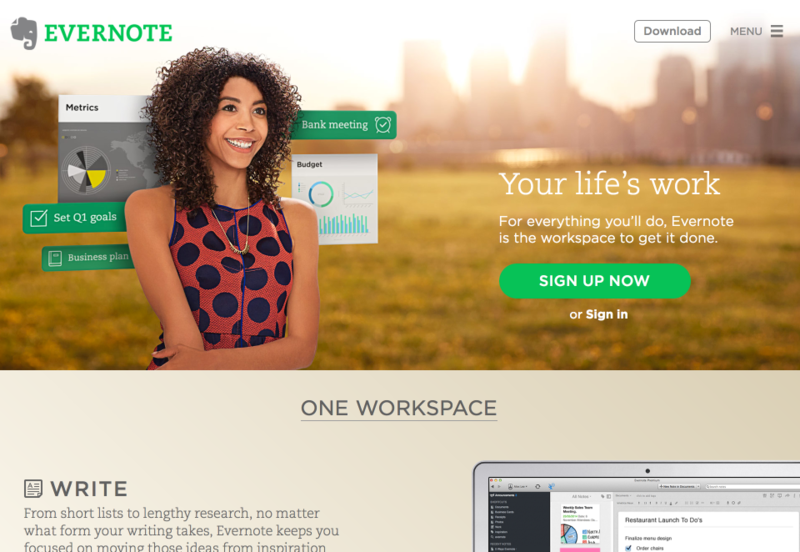 Evernote’s landing page pictures a woman who looks confident, organized, and in control. These are emotions that Evernote users-to-be may want to feel, too. This isn’t just some psychological gimmick. Humans tend to mirror one another’s attitudes and actions. When you look at images of someone who is exhibiting a certain emotion, you will experience that same emotion to some extent, too. Use colors that cause the right emotion. Color plays a major role in our emotions. Over 20 years ago, studies found that children with violent tendencies will relax and calm down when placed in a pink room. Hospital researchers have discovered that replacing blue-tinted lighting with gold-tinted lighting makes medical staff feel soothed. More recently, researchers have also found that creative inspiration comes more often to people who work in rooms that are painted blue. Color affects our attitudes, emotions, and actions. It’s most powerful effect, however, is on the emotions, which in turn affect our actions. Conversioner’s color wheel outlines some of the ways in which we are affected by the colors we see. 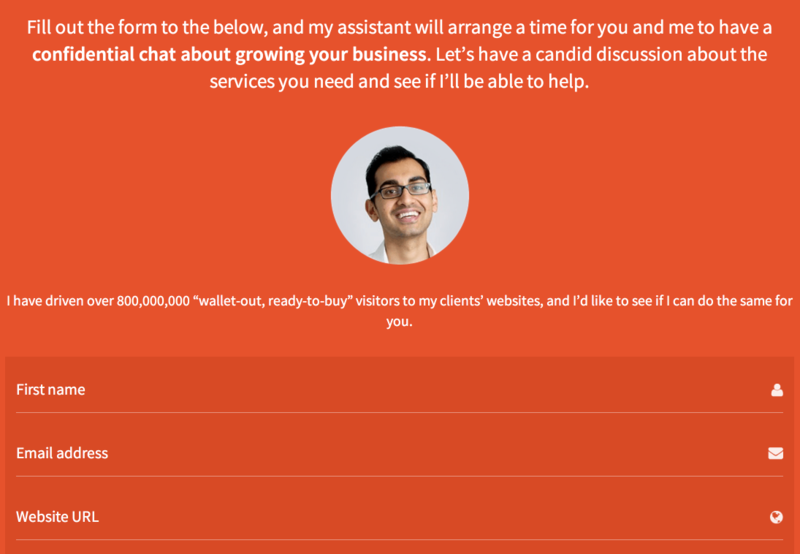 I’ve strategically selected an orange color scheme on part of my site’s landing page. It’s an upbeat, attention-grabbing color. I’m looking to partner with optimistic visionaries, and this color is exactly what I need. 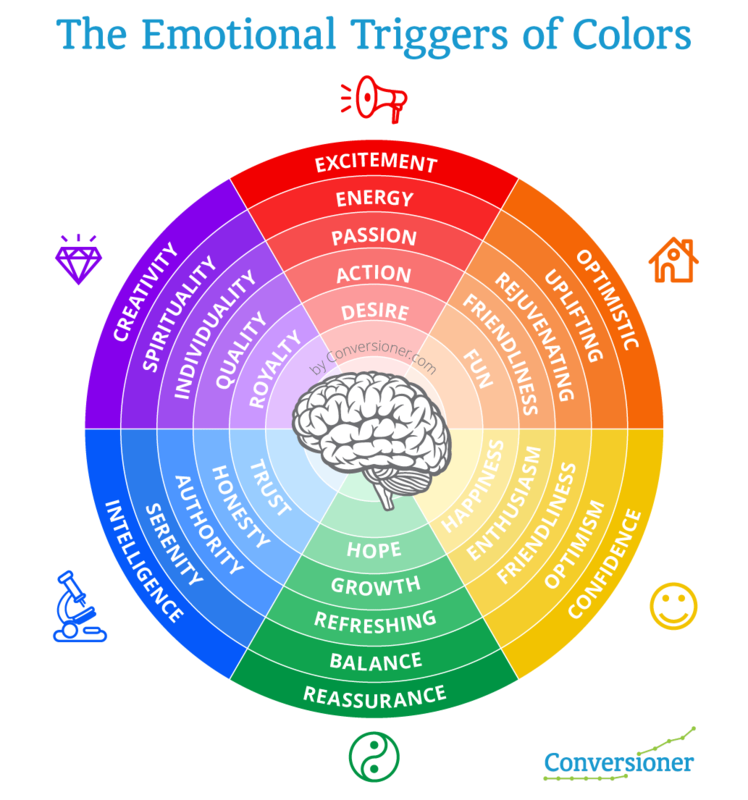 You’ll improve the emotional connectedness of your landing pages if you use a color scheme that brings out the emotion that you want your users to experience. Focus on benefits to provide gratification. Users want benefits. They already know what they need, how much it’s going to cost, and where to find it. What will tip the scales in their decision? It’s the benefits of the product or service that you are selling. To be emotionally effective, landing pages should be benefit-heavy and solution-light. Mention the solution only to inform users about what product or service you are selling. Focus on the benefits in order to connect most directly with their emotions. 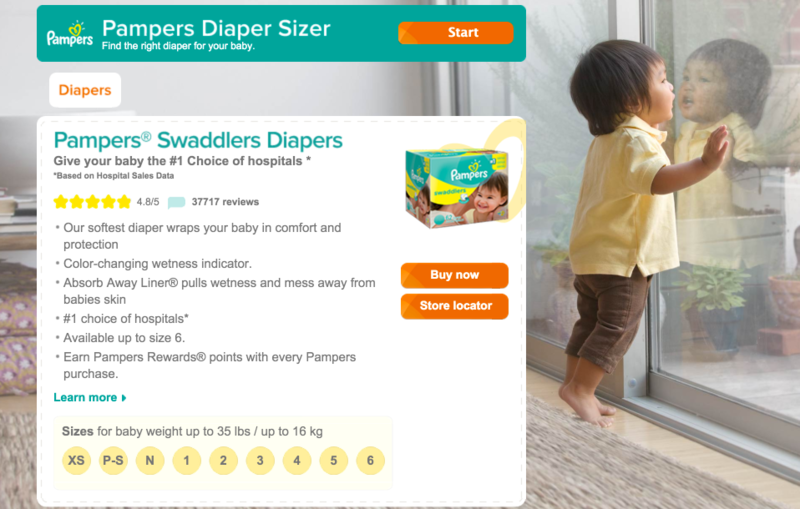 Listing benefits is exactly what Pampers does in their diaper landing page. They give you a whole list of benefits. Notice how the language itself has emotional overtones -- “comfort,” and “protection.” Every child’s caregiver wants her child to be comforted and protected. These words, loaded with emotion, will help encourage a conversion. Remind users of the pain to cause emotional avoidance. Pain and emotion are closely connected. They share a common brain processing center, the cingulate cortex, and work in conjunction to tell the body how to behave in response. We tend to respond to pain and pleasure with a far greater amount of emotional involvement than we do, say, to a more “objective” or non-urgent decision, such as whether to go to Olive Garden or Carrabba’s for dinner. Here’s the thing about pain, though. Someone doesn’t have to feel the pain to experience the same urgency or sensitive response. They only need to be reminded of the pain in a subtle way. When they feel that pain or are reminded of it, they are more likely to act and to convert. 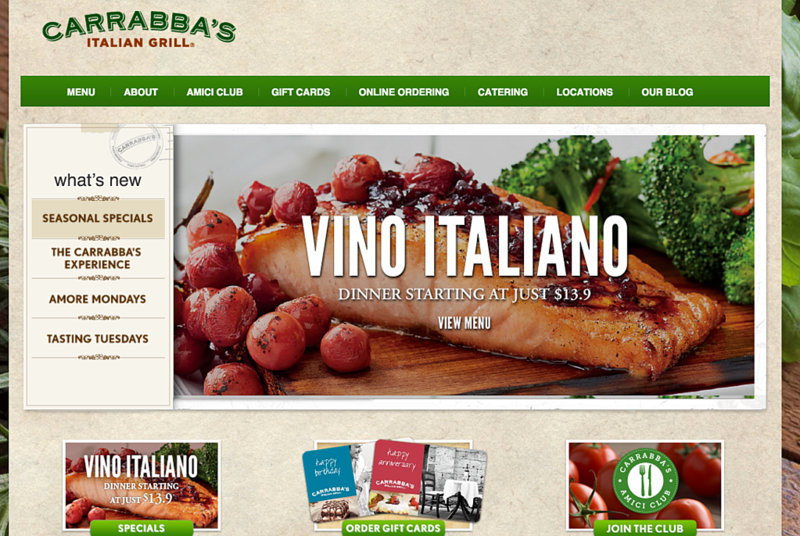 Since we’re talking about Carrabba’s, let’s see if they use pain in their landing page. They do -- it's a subtle and understated example of what a might pain reminder might be. In this page, they simply show a picture of food. This, however, may signal my pain receptors to the fact that I am hungry and need satiation. 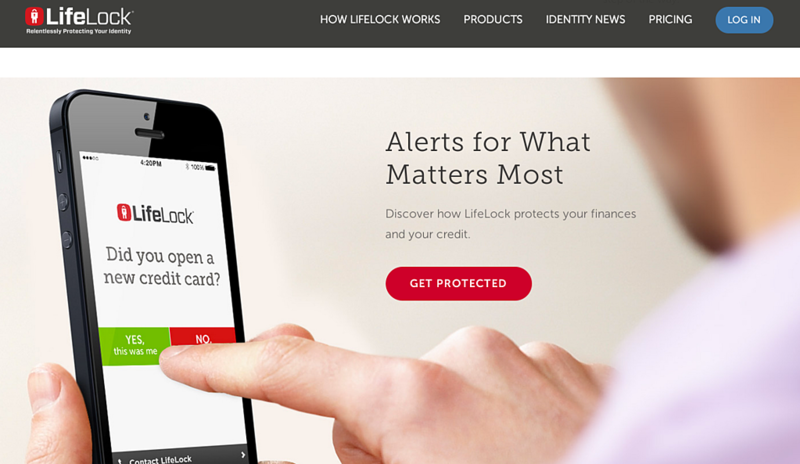 LifeLock wants their users to feel a little bit of the fear of losing their identity, so they subtly introduce this pain into their landing page. Don’t simply present the user with pain. Show them the pain, then present your product or service as the solution to that pain. Specific words have emotional power. Using emotional words brings out the emotional power in your landing page. Here’s how to use emotionally loaded words. Simply identify the emotion that you are targeting, then use words that elicit those emotions. This list of emotional words from PsychPage.com will help you identify the right words. It’s important not to overdo it with emotional words. As powerful as they may be, they lose power with overuse. And here's another. 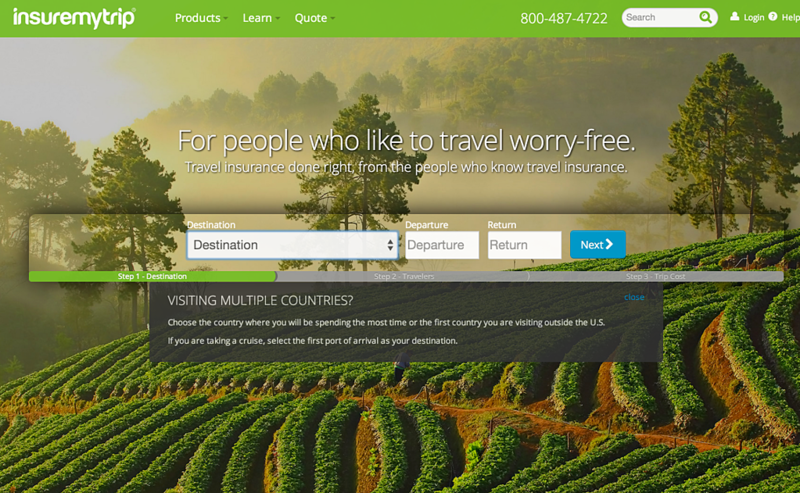 InsureMyTrip uses the term “worry-free.” Even words with a negative emotional response can be used in such a way that makes them appealing, and serves the goal of the landing page. Words have emotional power. Choose them carefully, and use them wisely. Emotion is too powerful to overlook. Emotion underlies everything we do. You users need to not only see and understand what you are providing, but they need to feel it, too. Those feelings are what will cause them to convert. 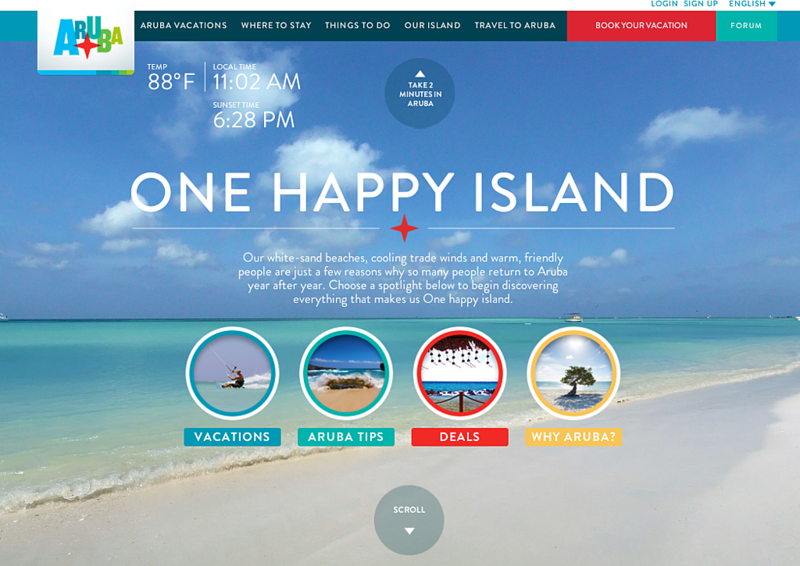 How do you use emotion in your landing pages?